No form of practice is more basketball specific than playing basketball. This statement influences what I coach, how I coach, and our basketball conditioning philosophy. Like many coaches I don’t have a full time strength and conditioning coach. For off-season basketball conditioning our players sometimes work with an athletic development coach, in addition to their individual basketball specific workout sessions. For in-season basketball conditioning, we practice the way we play using a games approach to coaching basketball. We do very little traditional on-court basketball conditioning. Suicides, 17’s, and many other full-court running drills without a ball are all skipped. The principle of specificity guides my philosophy, and applies to skill acquisition and athletic development. It states that specific training elicits specific adaptations, creating specific training effects. Basketball training should be relevant and appropriate to the game in order to produce the intended result. A player’s training must go from highly general to very specific so it includes performing a game-like movement or skill. The specificity principle comes into play when considering your action plan for basketball conditioning. The goal with both skill development, and basketball conditioning, is to create a practice that is highly specific to the competition. You can cover much of your conditioning needs by practicing the way you play. This is one of the reasons we can avoid spending practice time on generic conditioning drills. We play full-court trips most of our practices. We also maximize our player activity level in practice so our player’s are physically active throughout practice. The training mimics the action and skills that will be needed in the game. 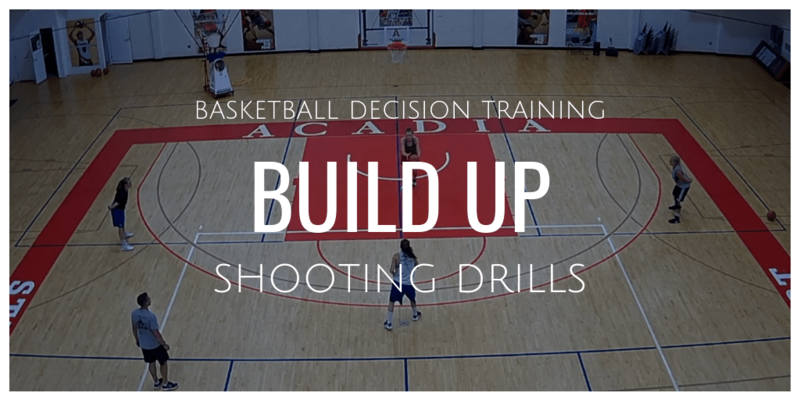 Training the way the game is played maximizes your focus on skill and tactical development, with the added benefit of basketball conditioning at the same time. The specificity principle is important to understand as a basketball coach because applying it correctly will allow one to have a focused, efficient, effective basketball conditioning program that will lead to the desired gains. Failing to apply it will result in wasted energy and time. When we do basketball conditioning drills we focus on fun above else. The last thing I want to do as a coach is to make running not fun. Especially since I want our team to run full out in defensive and offensive transition. The other challenge is to use conditioning drills that fully engage an athlete in running hard. The best way to do this is to make running fun and competitive, and not just pure conditioning based on time restraints or punishment. Here is an example of a fun, competitive conditioning drill. If you have access to athletic development resources than use them. I am not arguing against the value of using athletic development professionals. I am trying to outline ways to focus on the things that will most impact basketball conditioning, without taking away time and resources from what matters most. For most coaches focusing time and resources on athletic development are a luxury that they can’t afford. If you have to choose between basketball conditioning and coaching skill and tactics, choose skill and tactics. Developing skills and tactics is a far more important use of time and resources for most coaches and players. It’s even better when you can combine both using a games approach to coaching, or adding a basketball component to a fun, competitive conditioning drill like this improvement to the Chase Basketball Conditioning Drill. In this version of the Chase Basketball Conditioning Drill we add a basketball. Players naturally push out their dribble as they are chased. The added challenge of being chased makes the dribble evasion more realistic. We also add constraints to work on dribble moves or to incorporate passing. For example, a possible constraint could be that each player must dribble between their legs, one time before getting back to their line. So don’t just add a ball, add a purpose to your basketball conditioning drills.